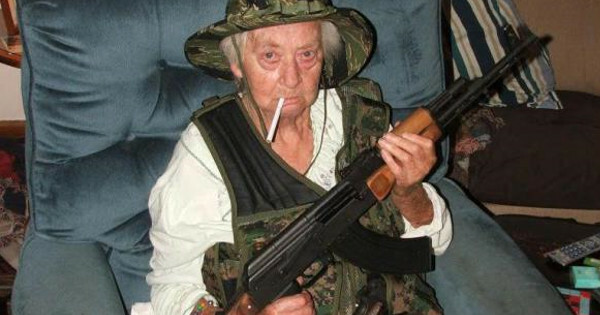 5 Comments on "Grandmother with AK-47 saves cops being attacked by street gang"
You go granny. No one should take her weapon away. this is LA we are talking about. She needs it. But I can almost guarantee that she can also handle it. I want to be her when I grow up! I think she did what the rest should do show them who is boss. I think this is the best thing I have read on face book in a long time I love this. Every body taking guns away from people they should be proud of this woman. I am.